Often being accused of having the vocal chops of young Whitney Houston, but having the performance dynamics of Mary J Blige. R&B, Hip Hop Chicago native Elishema, whose name can be searched out in biblical text and discovered to have the accolades and honor of invoking the Almighty composer of our universe, and the giver of life to bear witness to the heavenly voice of this wonderful vocalist, who’s essence is singing and bringing peace and harmony into the world. And after hearing her sweet angelic voice you will know why she is certainly befitting of such a name whereby even the Heavenly Father listens. Being gifted with this soulful and captivating vocal ability she will undoubtedly command your undivided attention. Elishema made up her mind many years ago to use her abilities as a singer, songwriter, performer, and recording artist to impart the wisdom she was blessed with and the love she felt for all people into her songs as “music of empowerment,” thereby empowering listeners into positive action whether it be festive or relief from a gloomy state you’re in, her music rocks and comforts you. Infusing elements of Pop, Rock, Soul, R&B, and Hip Hop, Elishema strives to compose feel good songs that not only pleases the ears, but penetrates the superficial barriers to much deeper meanings that resonates the soul inseminating strength, inner happiness, peace of mind, and sincerity. 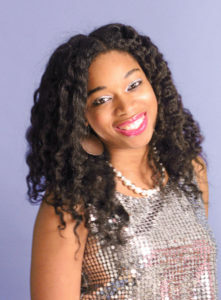 Being in a household of music enthusiast, Elishema found herself being exposed to lots of great performers, but mostly being influenced by artist like Michael Jackson, Mariah Carey, Patti Labelle, and Brandy, who were her spiritual mentors which inspired her towards excellence in her craft, becoming the consummate performer she is today. Recognizing her calling at a very young age with the backing and support of her family, Elishema embarked on a journey to share her love for music with the world, doing everything within her power and grasp to develop this skill and gain exposure. Elishema released her first independent album “New Beginnings” in 2011 under her own indie label Inway Records that was a follow up to her controversial single “Sophisticated Man” which was well received by fans worldwide. 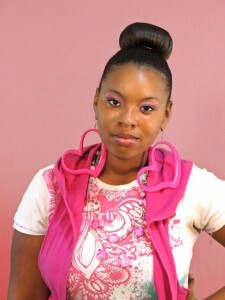 “New Beginnings” is a 16 track album that fuses R&B, Hip Hop and Pop tracks focusing on themes for inspiration. In 2012 she released her second single “Hood Cheaters” which spot-lights the double-crossing behavior of an unfaithful companion moonlighting in the hood, and her approach to handling the situation. Before the curtain closes on 2013 Elishema returns to the stage presenting her new single “All Mine” delivering a strong message of inspiration, empowering the hopeless romantics in keeping faith alive when a loving fantasy may be impossible to grasp. While currently working on her sophomore album and numerous collaborative projects in the works, moving into 2014 Elishema will be dropping more music for her fans listening pleasure, to enjoy and get energized while she will be embarking to meet them face to face during the time she takes the stage on her first regional tour. Up and coming rapper from the south side of Chicago.Full Bio Coming Soon! Copyright © 2019 Arizingstar Productions & Management. All Rights Reserved. Gridiculous created by c.bavota.